Ready to see a brick-built Mount Doom dreamed up in the course of a glorious plastic reverie? Well, developer Traveller’s Tales’ usually-healthy imagination glands must be playing up, because Lego The Lord of the Rings’ fiery mountain really looks very much like Peter Jackson’s did. Fortunately whichever organ is responsible for TT’s sense of humour is evidently still pumping. From Indie to Star Wars, Lego’s film licenses have long provided them with the most fertile ground for spoofing and sending-up, and nothing’s different here. 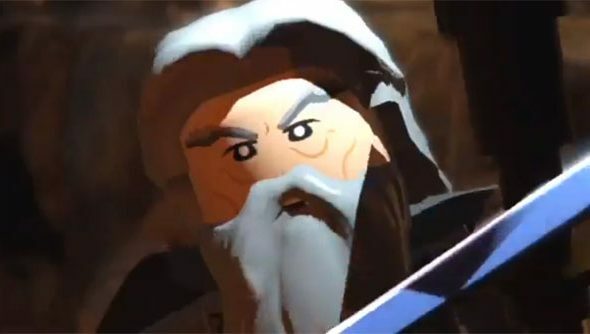 Here’s hoping Lego’s LotR doesn’t shy away from siege-scale conflict, and inherits some of the open-world structure that made Lego Batman 2 the perfect place for aimless play. The trailer tells us only one thing for sure, in magical movie fashion: this October, orcs will be rapidly disassembled.